HARIBO is staging a season of high-profile promotions in Europe, highlighting its latest travel exclusive editions, in partnership with Gebr. Heinemann. 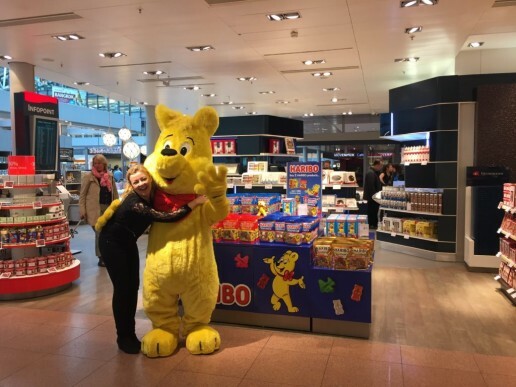 The first activation, which took place in April at the Plaza at Hamburg Airport, included a decorated podium featuring the new range of travel exclusive HARIBO 750g and 250g resealable pouches, which come in four assortments: Air-Parade, Starmix, Goldbears and Happy Cola. The travel exclusive range also includes the new 748g HARIBO Pick&Party sharing pouch, containing 45 mini-bags of the brand’s bestselling sweets, plus mixed-fruit and Happy Cola Roulettes. 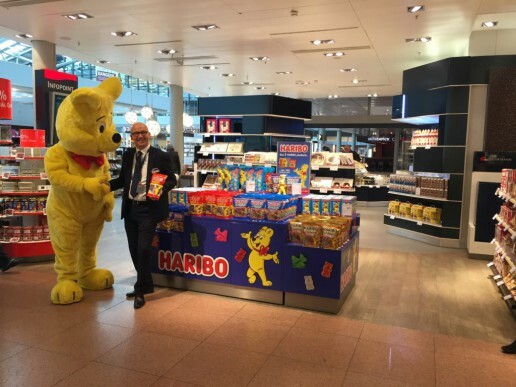 HARIBO’s promotion is running this month at four shops in Frankfurt Airport and will be followed by displays at airport shops operated by Heinemann across Europe, including Berlin, Cologne, Budapest, Vienna, Istanbul, Copenhagen, Oslo, Stavangar, Trondheim, Bergen and Amsterdam.